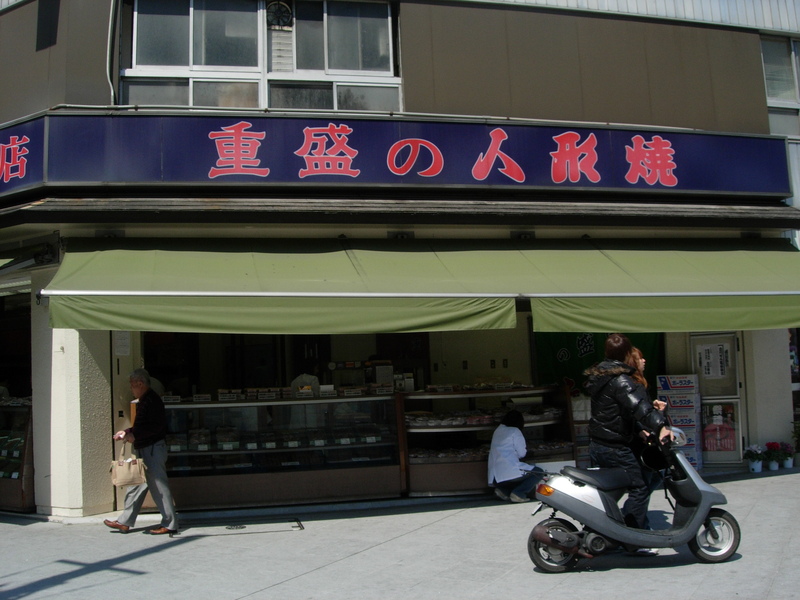 Commanding the corner with its large display of stuffed cakes and sweet crackers is Shigemori Eishindou. It opened in 1917 as a shop selling ningyoyaki of shichifukujin (the seven lucky gods). The azuki paste in the ningyoyaki cakes are rich, sweet and the cake is chewy. If you look behind the counter you can see the work space in back is where the ningyoyaki are made.